Former prime minister Najib Abdul Razak has taken a swipe at the Pakatan Harapan government over rating agency Moody’s Investors Service downgrade of Petronas' outlook from stable to negative. 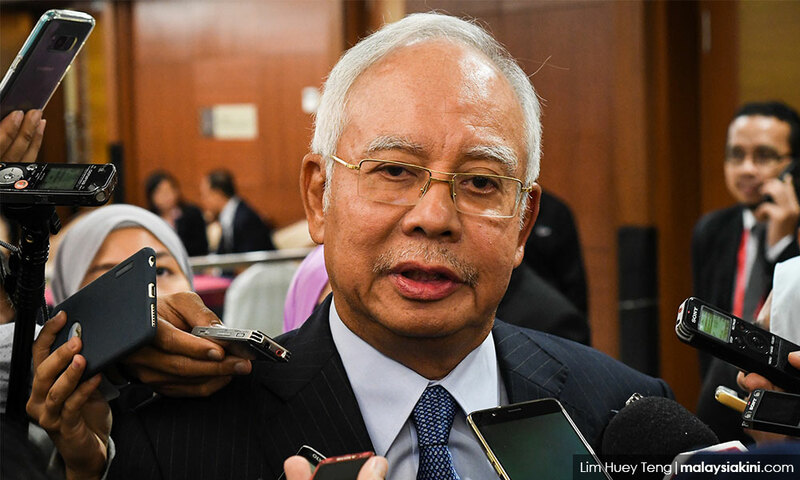 "Congratulations to the Harapan government ... this is the outcome of expert management of the country's finances, and smart moves taken in Budget 2019 such as ordering Petronas to pay high dividends to offset small revenue," Najib said on Facebook today. Last Friday while tabling the Budget, Finance Minister Lim Guan Eng announced that Petronas would be paying RM26 billion in dividends this year, and RM54 billion - including of a one-off special dividend of RM30 billion - next year. "The negative outlook on Petronas' ratings reflects our view that its financial profile may deteriorate if the government continues to ask the company to keep dividend payments high, especially if oil prices decline," said Moody’s senior vice-president Vikas Halan in a statement today. Najib said the downgrade on Petronas' outlook could affect Malaysia's credit ratings as well. He also questioned what would happen if oil prices fell further. "What buffer do we have if there is another oil price crisis? "The past BN government had done its best to decrease the country's reliance on oil revenue and diversify its income, inline with current needs and world economic developments. "But the Harapan government wants to return to the old days. No one has done this," he added.